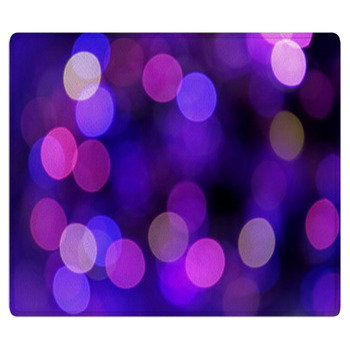 Forever known as the color of royalty due to its rarity and luxurious visual quality, the color purple calls forth a feeling of true beauty when worn or used in our homes. 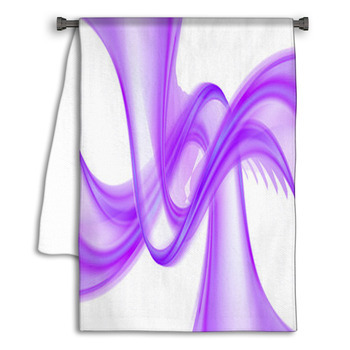 Our purple shower curtains and towels utilize this sensuous color to help you create a feeling of luxurious relaxation in your bathroom in an eclectic variety of styles. 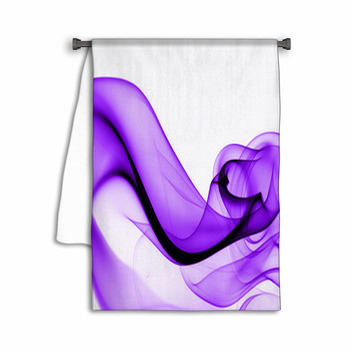 A dark purple will create a feeling of comfort that lasts when you wrap yourself in our downy bath towels after a relaxing bubble bath. 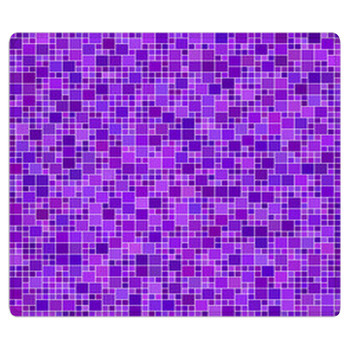 The smells of purple lavender and sweet flowers will seem to appear when your morning shower is improved by our custom purple bath mats with floral designs. 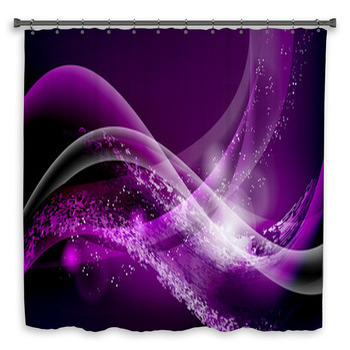 Our purple shower curtains and bathroom decor are truly versatile, with image choices ranging from the abstract to the classically simple. 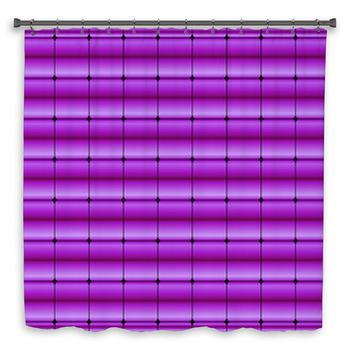 Use a vintage 1970s style image of dark purple squares upon a lavender purple background on matching hand towels and bath mats to bring you back to a different time. 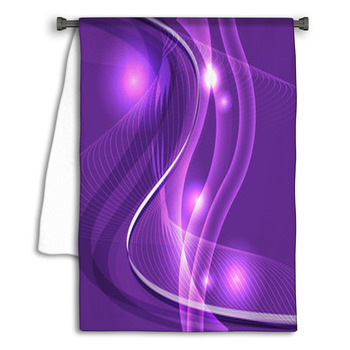 Print a digitalized and abstract design of neon purple rays on a custom beach towel to draw some special attention this year at the ocean. 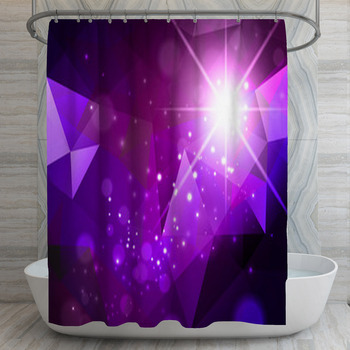 For the musician we have the image of a bright purple music to turn any bathroom into a personalized haven of their favorite things. 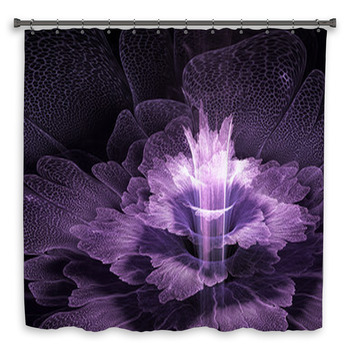 We have purple floral designs on shower curtains and bath mats featuring the feminine image of flowers and leaves in many different patterns just for you. 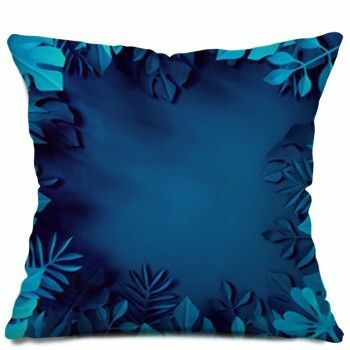 Don't forget the easy matching capabilities of our color theme interior design styles. 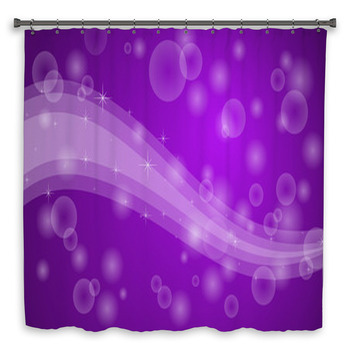 Reupholster your fading furniture with matching purple fabric or use it to start your very own craft project with bathroom decorations. 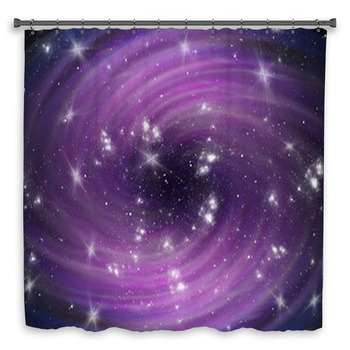 We also have a complete line of purple theme wall art to make your unique house something people will be raving about. 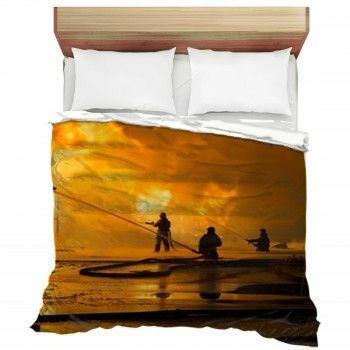 Need a birthday present? 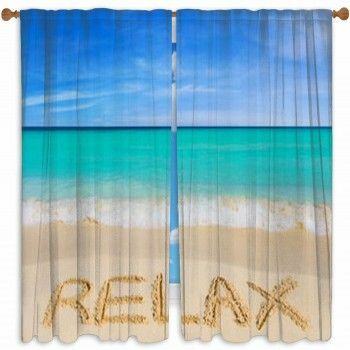 Personalize a purple beach towel with your daughter or nieces name to make her feel special and pretty every time she goes swimming. 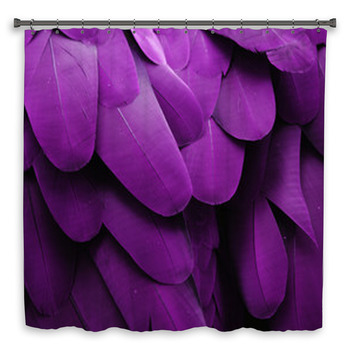 There surely is a reason why this enchanting color has seemed to attract and captivate us since ancient times.